Senuti is a new software meant for Apple users to make data transfer from and to iPod users. If you have an iPod and a Mac too in case then this proves to be a worthy one to you. 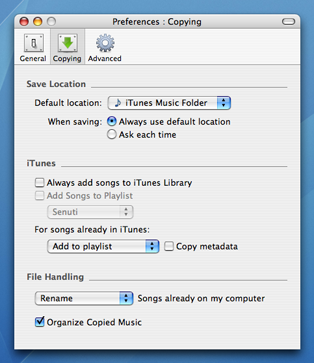 You can now transfer music files from the iPod to your Mac with the help of Senuti. The Senuti 0.50. 2b9 application is for free believe it or not and probably one of the very few softwares for Apple’s devices. So now you can easily transfer music back to Mac from the iPod. It can read the information about the files from the iTunes database of the iPod device that enables it to populate and obtain information about all of the songs. 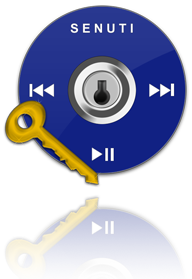 It can also be used as a player to play directly from your iPod or as a jukebox in case you own shuffle. This one is a beta release and new features are the two bugs that were annoying but now fixed in this release of 0.50.2 b9. The freeware is a hot pick and will be a very good utility to serve such miscellaneous needs. So go ahead and download it.